Datsun officially launched Go Flash Limited Edition model in South Africa. The changes made for the Go is limited to aesthetics only. The front gets bespoke hood, new roof and silver finish for the exhaust. The Go also comes with special body graphics and customized body flaps. The Limited Edition model is available in two colours – White and Grey. The interior changes include a new music system with Bluetooth, aux-in and USB which replaces the regular phone dock on the Go. The limited edition model also gets silver accents inside the cabin along with parcel shelf on the boot. 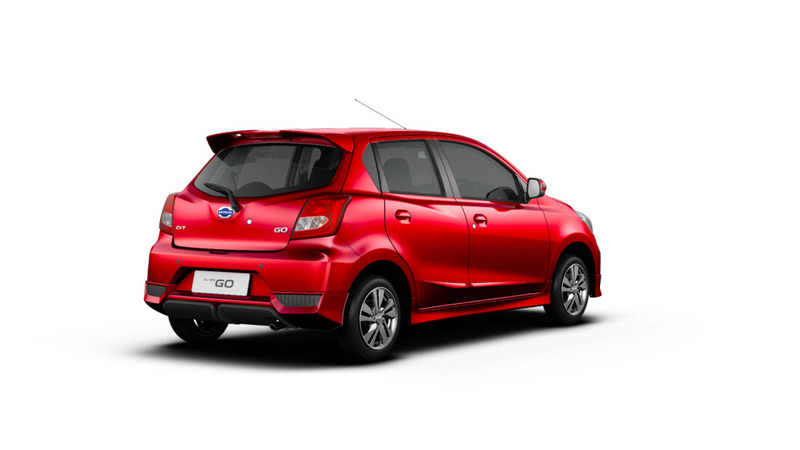 Datsun Go is powered by 1.2 L petrol engine producing 68 PS of power at 5,000 rpm and 104 Nm of torque at 4,000 rpm. The power is sent to front wheels via 5 speed gearbox. The Go Flash limited edition returns 19.23 Kmpl and it is manufactured in India. The Go Flash is priced Rs. 16,000 more than the regular variant in South Africa. Datsun officially revealed Go and Go+ facelift in Indonesia couple of days ago and the company is soon going to introduce these new model in India also. 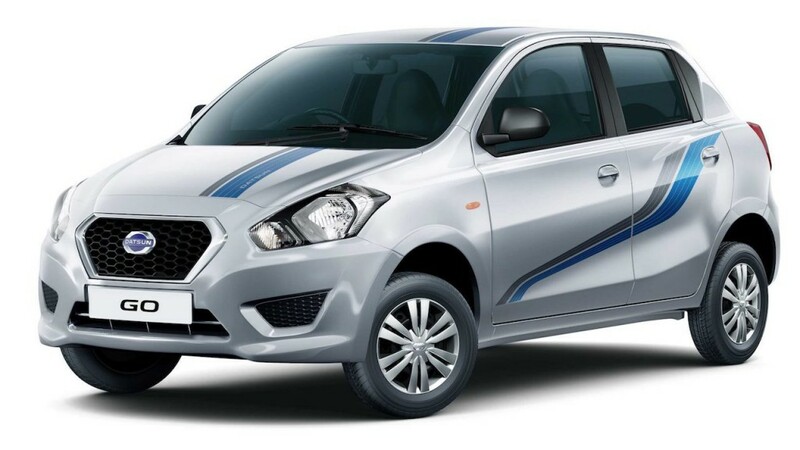 Datsun Go facelift model comes with wider front grille with new bumper. The LED daytime running lamp is placed vertically near the fog lamps. The company has given lots of cuts and curves for the bumper which gives a sporty look for the Go. The changes for side include new 14 inch alloy wheels along with new mirrors which get integrated indicators. The rear comes with new bumper and wiper which were not available in the previous model. The changes given for the interior is much more substantial as the dashboard and centre console gets a new design. The Go and Go+ finally comes with 6.5 inch touch screen infotainment system. Both these models also get some changes on the suspension to make the ride and handling better than the outgoing model. Datsun also introduced a new CVT transmission on Go and Go+ which get the same engine but power and torque output has been increased. But the manual continues to have the same output as old model.